The Energise Otaki website is up and running. A voluntary effort coordinated by Miriam Richardson and Gael Ferguson has given the town a focal point for its energy-saving future. Energise Otaki is working closely with Otaki College, in an ambitious project to install photovoltaic panels for electricity generation. Installation of 96 PV panels on the rooftops will see the college generating up to 24 kilowatts of power ever hour the sun shines. This will generate funds for future college projects, as well as providing a focus for science students to learn more about energy conservation. All Otaki households, organisations and businesses take action in some way to reduce energy use. All Otaki homes, businesses and organisations are actively involved in some way in the production of local scale clean energy. Otaki energy use per capita declines year on year. 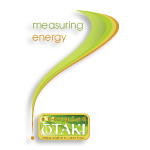 Jobs in energy conservation and clean energy generation are created in Otaki. No-one is living in energy poverty in Otaki. The longer-term goal is that Otaki is internationally recognised as a town where research on energy conservation action and clean energy production can be advanced in partnership with the community. A key driver for the vision is to support the wider economic development goal for Otaki to become a centre for clean technology businesses and employment. Have a look at the website, and think about how you can participate in Otaki’s clean energy future.